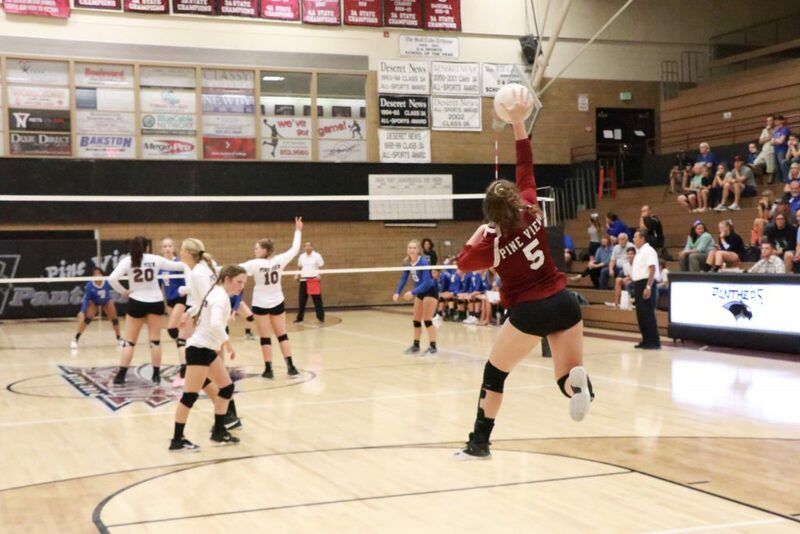 ST. GEORGE — Although girls tennis becomes the first fall sport to wrap up its regular season and move to post-season play this weekend, there’s still plenty of Region 9 action left in other sports. Here’s this week’s roundup. 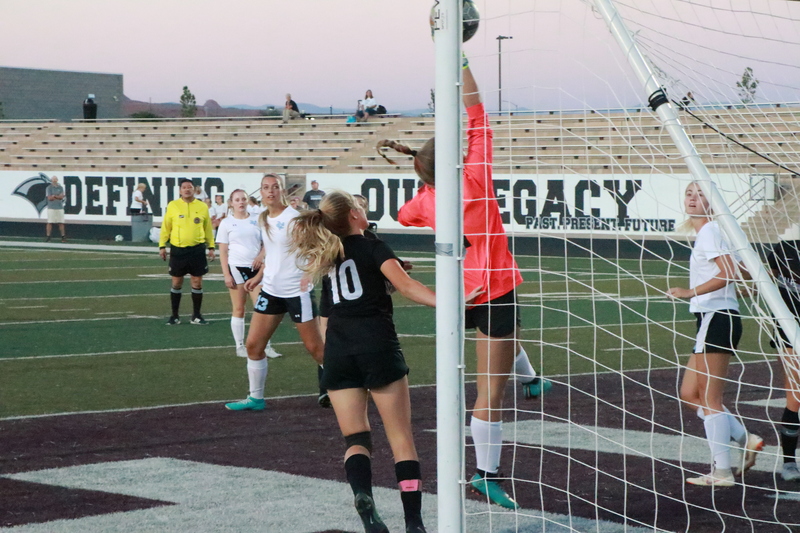 Last Friday at home, Cedar High came from behind to beat Pine View in overtime, 2-1. The Lady Panthers scored in the first half and stayed ahead 1-0 most of the game, but Cedar’s Logann Laws kicked in a goal with less than two minutes left in regulation to force overtime. Then, with about one minute left in the first 10-minute sudden-death overtime period, Becca Boyer knocked the ball into the net off a corner kick to give Cedar the 2-1 win. 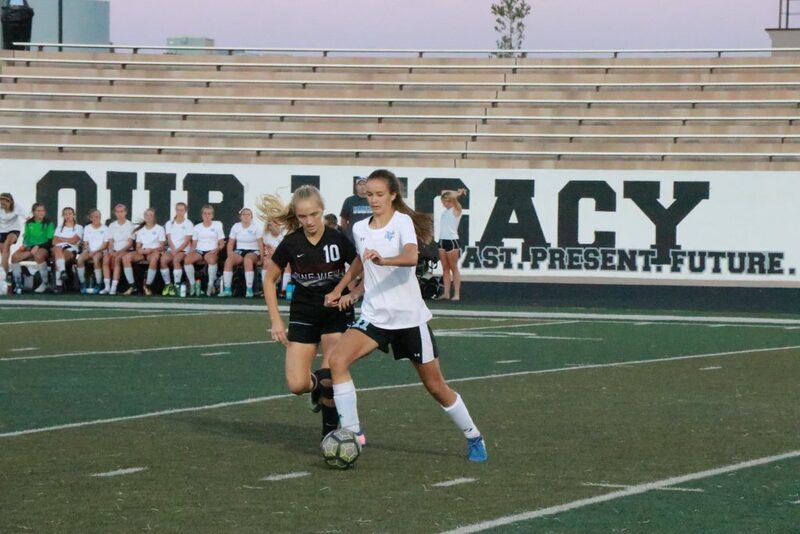 The defeat was the third loss in a row last week for the Lady Panthers, but Pine View coach Sam Johnston said his team was motivated to return the favor at home on Tuesday, when Cedar came to town for a rematch. 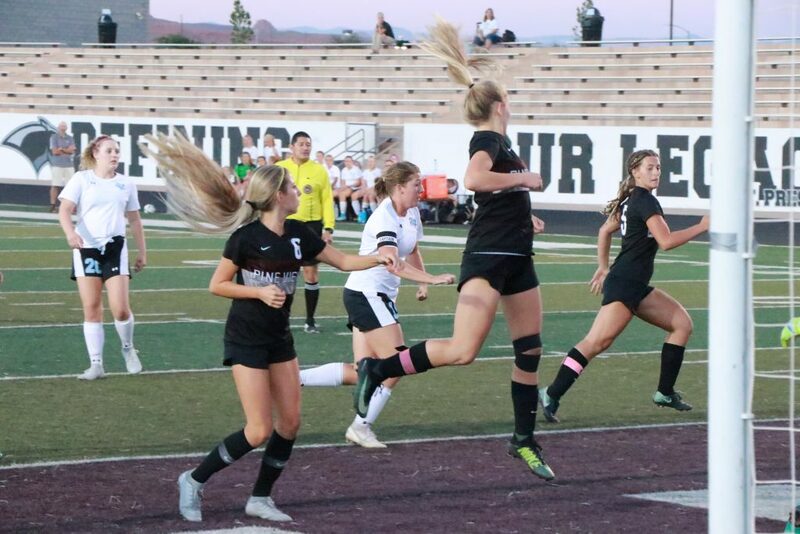 Although the two teams battled to a 1-1 tie in the first half, Pine View broke loose for five unanswered goals in the second half to win 6-1. Tiara Cafferty and Kaveri Stubbs each had two goals to lead the way for the Lady Panthers. Two nights later, Pine View won its second game in a row at home, beating Canyon View 1-0. Freshman Brynlee Johnston scored the only goal of the game on a corner kick with about 15 minutes remaining in the second half. “It bounced around in the box for a minute and she was able to get a solid touch on it and sneak it by the keeper,” Sam Johnston said. Also on Thursday, the Dixie Flyers scored once in each half to win 2-0 at Desert Hills. Kelcee Call and Kennedy Warnick each scored one goal for the Lady Flyers. Meanwhile at Cedar, the visiting Hurricane Tigers came back from a 1-2 halftime deficit to defeat the Lady Reds, 4-3. Lena Stevens scored twice for Hurricane, which also moved slightly ahead of Cedar in the region standings. 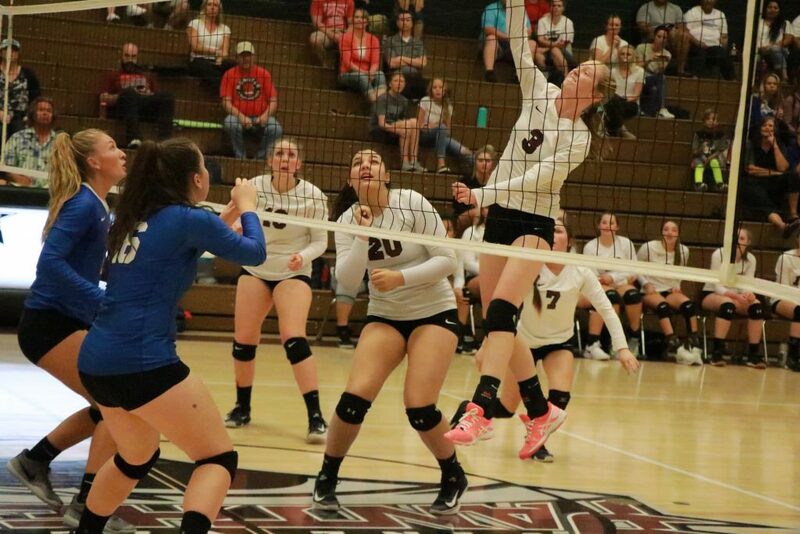 Tuesday evening, Desert Hills defeated Dixie 4-1 (13-25, 25-21, 25-22, 25-19). The Flyers jumped out to win the first set handily but then lost three close sets to the Lady Thunder. 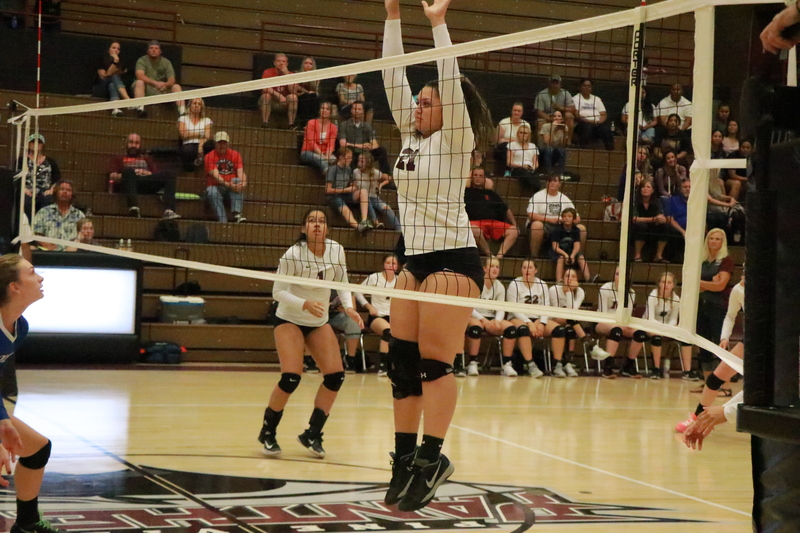 Kami Bliss led the way for Desert Hills with 17 kills and six service aces, as the Lady Thunder remained undefeated in region play. 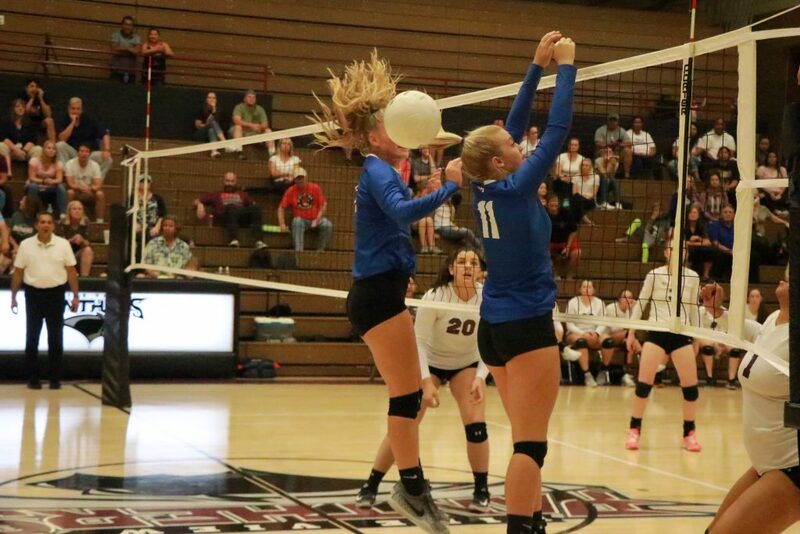 For Dixie, Aubrey Coffin led the team with 13 kills and Halle Anderson had 21 digs. 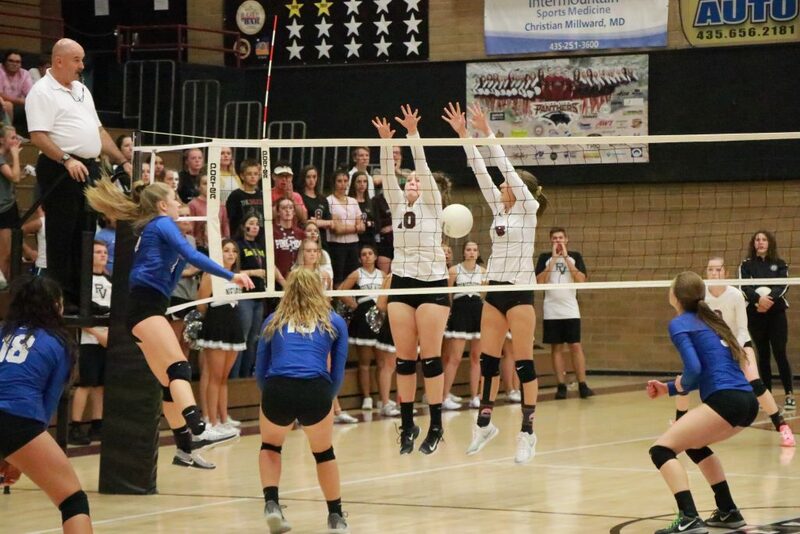 Thursday’s region matches were all 3-0 sweeps; Desert Hills defeated visiting Cedar, Dixie won at Pine View and Snow Canyon beat Canyon View at home. In Desert Hills’ 25-21, 25-22, 25-14 win over Cedar, Bliss led the Thunder with 11 kills, while Kylee Christensen added 10 kills. 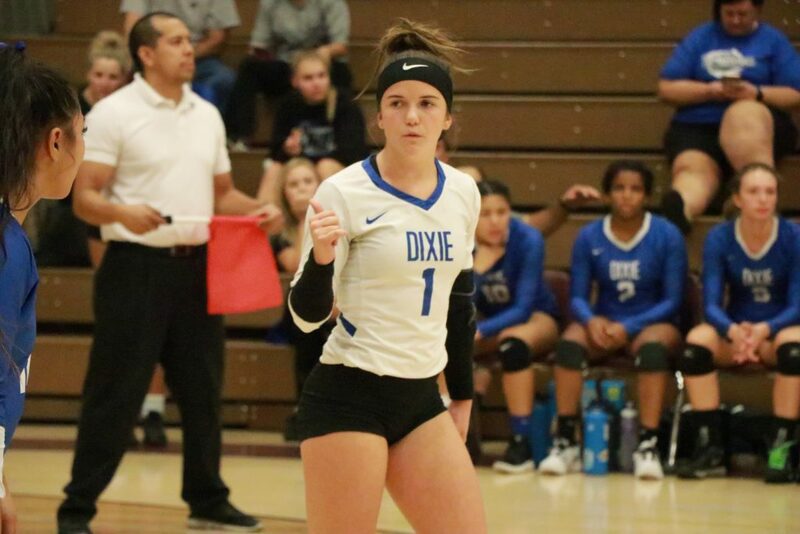 Meanwhile, Thursday night at Pine View, Dixie won 25-17, 25-10, 25-20. Dixie led 21-14 in the third game, but Pine View served up five points in a row to narrow the deficit to two. 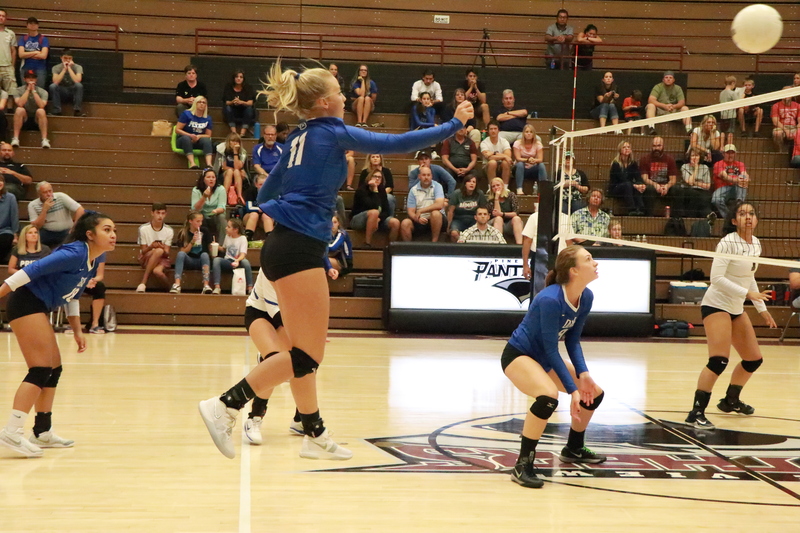 Later, with Dixie up 23-20, the Panthers lost a point due to an improper substitution, and the Flyers clinched the match on the very next point, with senior Savannah Wilson recording the final kill. Aubrey Coffin led the Lady Flyers with 10 kills during the match. 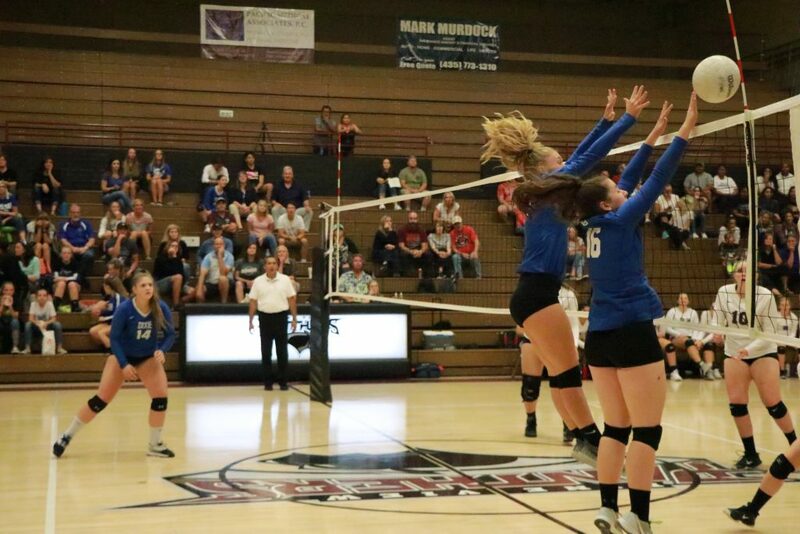 Thursday at Snow Canyon, the Lady Warriors beat Canyon View 25-23, 25-16, 25-16, with Sammi Johnston leading the way with 18 kills. Teammate Jenna Thorkelson had 18 assists. Tuesday featured a hard-fought five-set match at Hurricane, as the visiting Cedar Lady Reds outlasted the Lady Tigers 3-2 (22-25, 26-24, 25-28, 25-27, 15-8). 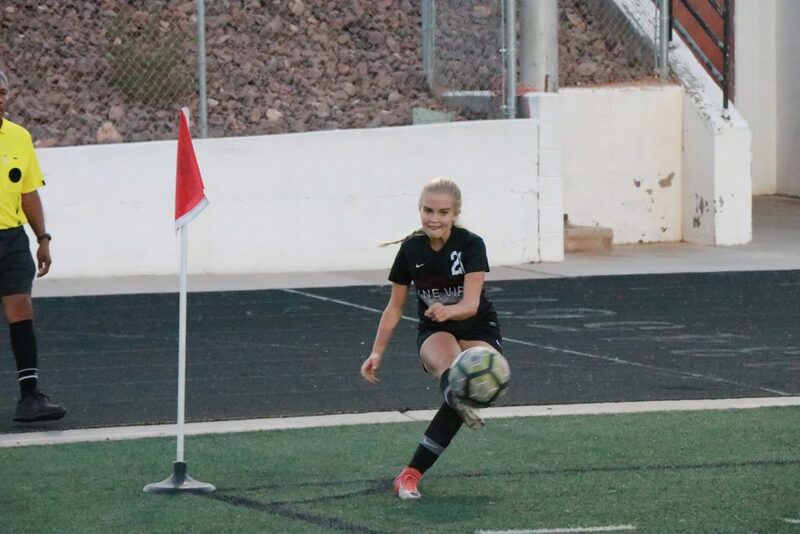 That same evening at Canyon View, the Lady Falcons got their first region win of the season when they edged past Pine View 3-2. Canyon View dropped the first two sets 10-25 and 20-25 but came back to win the next three, 25-15, 25-21, and 15-10. Jordan Nielson led Canyon View with 10 kills, while fellow senior Shayla Johnson had 15 digs and Malia Vasi had a team-high 17 assists. 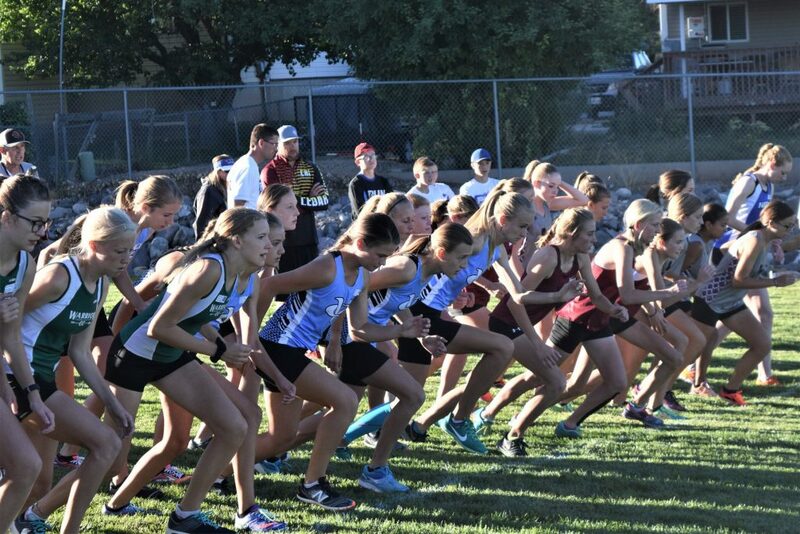 Cedar High School won both the boys and girls varsity races at the Canyon View Invitational in Cedar City last Saturday morning. Leading the way for the Cedar girls was Harley Taylor, who finished first overall with a time of 18 minutes, 57 seconds. 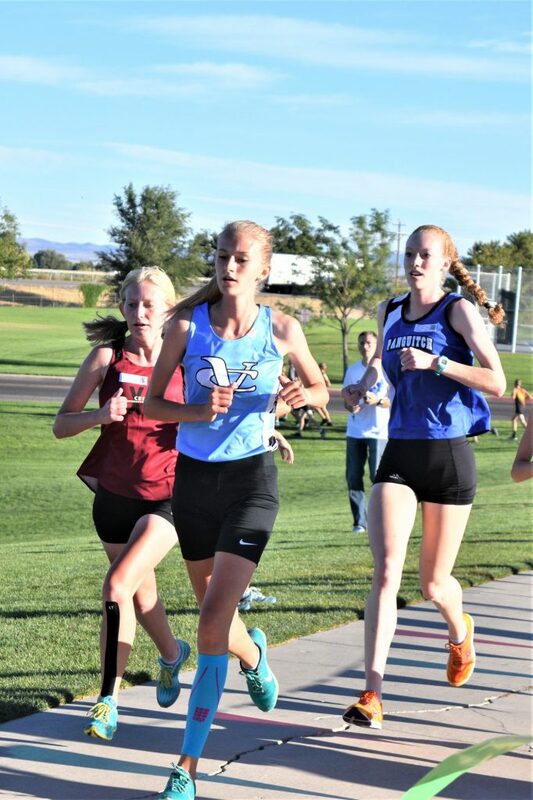 Her teammate Kaysie Klemic placed second with a time of 19:08, narrowly edging Canyon View’s Malayna Steffensen, who placed third with a time of 19:08. 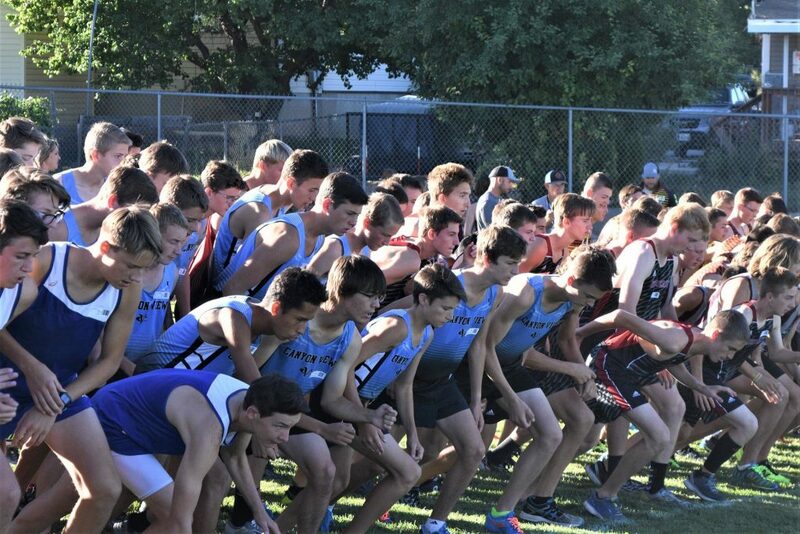 For the boys, Easton Brandt of Canyon View was the top finisher, with a time of 16:03. Cedar runners occupied the next three slots, with Josh Robinson placing second in 16:13, Bailey Oswald taking third in 16:19 and Brady Bettridge placing fourth in 16:23. Upcoming meets hosted by Region 9 teams include the Cedar High Invitational Sept. 28 and an invitational at Snow Canyon on Oct. 4. The Region 9 championships will be at Sand Hollow on Oct. 9. The sixth Region 9 match of the season was held Wednesday at Cedar Ridge Golf Club in Cedar City. Desert Hills was the top-scoring team with a score of 310. Only three strokes separated the next three spots, as Pine View was second with 326, Dixie was third with 327 and Hurricane was fourth with 328. In addition, Snow Canon placed fifth with a team score of 343, Cedar was sixth with 346 and Canyon View was seventh with 387. Cruz Kirchhausen of Desert Hills was the top individual golfer win a one-over-par score of 74. His teammate Curtis Matheson and Hurricane’s Jeremiah Johnson tied for second with 75 each. Ashton Davison of Desert Hills finished fourth with a 77. Next week’s region match, the seventh and final one of the regular season, is Thursday at noon at SunRiver Golf Club in St. George. The Desert Hills Lady Thunder placed second in the “Fall Duel in the Desert” invitational held at the Bloomington Country Club last weekend, losing only to 6A state champion Lone Peak in the finals. 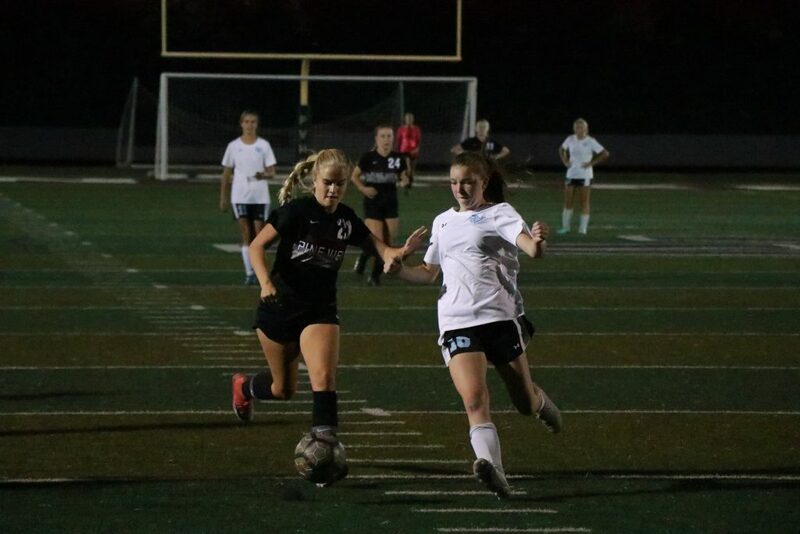 The Lady Thunder, who went undefeated in region play for the second year in a row, will be the favorite in the Region 9 tournament scheduled for Friday and Saturday at Tonaquint Park in St. George. The the top four qualifiers in each bracket will advance to the state 4A tournament, scheduled to be held at Salt Lake City’s Liberty Park on Sept. 27 and 29. In Friday night’s three Region 9 games, winless Hurricane hosts Canyon View, with the Falcons coming off a 27-14 win at Cedar last week. The Cedar Redmen, meanwhile, will play at Desert Hills, with the Thunder looking to extend their three-game winning streak and remain unbeaten in region play. Meanwhile, Pine View, which had a bye last week, will host Snow Canyon. All games start at 7 p.m.